Periodontic services help patients with gum health issues. Many people don’t want to think about periodontic procedures, but if you have health issues with your gums due to damage or disease, you need the right treatment to deal with the problem, both for your health and your peace of mind. At Dentistry on Kent, we offer several periodontic procedures to deal with challenges to your gum health. Periodontics is the area of dentistry that deals with the supporting structures of the teeth, i.e. 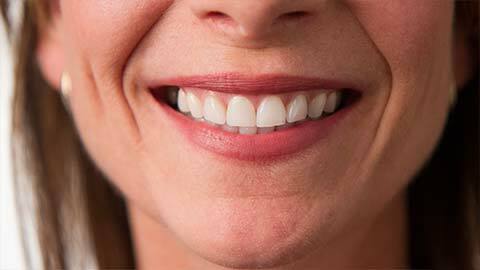 the gums and jaw bones, and the diseases and issues that affect their health. Both minor and major periodontic procedures are available. Gum disease occurs commonly to varying degrees, and in some patients can have a major impact on overall health and wellness. Gum disease is caused by an infection in the gums, resulting from bacteria present in untreated tartar. Minor gum disease is known as gingivitis, and in its more severe form, gum disease leads to tooth loss. Fortunately, good oral care (especially dental check-ups and cleanings) can almost always prevent gum disease. Your dentist or hygienist can instruct you on the best ways to keep your mouth healthy in order to keep the spectre of gum disease at bay. Unfortunately, some of us may not be able to avoid issues with gum disease due to family history, past dental problems, or other contributing factors such as diabetes. Dentistry on Kent offers the following periodontic procedures for these patients, all conducted with the same comfortable and efficient care you’ve come to know from our staff. You may have heard the term “scaling” before while in the dental chair, as it’s the process of removing tartar and plaque buildup from your teeth during a regular cleaning. With a periodontic service, the scaling occurs on a deeper level. The hygienist must remove the plaque, tartar, and diseased tissue both above and below the gumline in order to give your system a chance to combat the advancement of the gum disease. Root planing involves the same process on the roots of the teeth, to remove the tartar and bacteria that have advanced there. When gum disease has severely damaged or loosened a tooth, tooth extraction may be necessary. Dentistry on Kent offers this service alongside its other treatments for your gum health. The frenum is a thin strip of tissue in the mouth which attaches the gum to the surrounding mouth tissues. If the frenum is pulling on the gums and making them gap or recede, the dentist may recommend the removal of those thin tissues (frenectomy). The procedure is safe and quick, and patients usually recover quickly. From basic oral care to major periodontic procedures, you can trust Dentistry on Kent to provide you with the care you need to enjoy a healthy mouth for a lifetime. If you need more information about Periodontics in Lindsay, contact us today.